Stephen Prothero is a C. Allyn and Elizabeth V. Russell Professor of Religion at Boston University specializing in American religions. He received his BA from Yale College in American Studies and his MA and PhD from Harvard University in the Study of Religion. 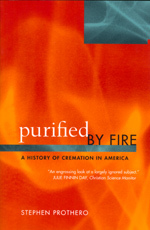 A historian of American religions, Professor Prothero has written six books, including The White Buddhist: The Asian Odyssey of Henry Steel Olcott (Indiana University Press, 1996), which won the Best First Book award of the American Academy of Religion in 1997, and American Jesus: How the Son of God Became a National Icon (Farrar, Straus & Giroux, 2003), which was named one of the top religion books for 2003 by Publishers Weekly. His two most recent projects are the New York Times bestseller Religious Literacy: What Every American Needs to Know–and Doesn’t (HarperOne, 2007) and God is Not One: The Eight Rival Religions that Run the World and Why Their Differences Matter (HarperOne, 2010). Show. He is also a regular contributor to CNN’s Belief Blog. Visit his personal web site at http://www.stephenprothero.com or follow him on Twitter at sprothero. By it now from Amazon.com! Audio commentary on “Beheading and Shock” for NPR.com. “Belief Unbracketed” from the Harvard Divinity Bulletin. 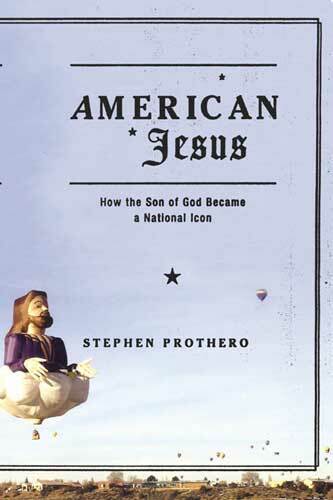 Listen to a radio interview with Professor Prothero about his new book, American Jesus: How the Son of God Became a National Icon.